Hogarth’s Pest Control specializes in German Roach removal. In Michigan, the most common species of cockroach is the German roach. Marked with two black stripes just below their head, German roaches are light to dark brown in color and has a tapered abdomen. 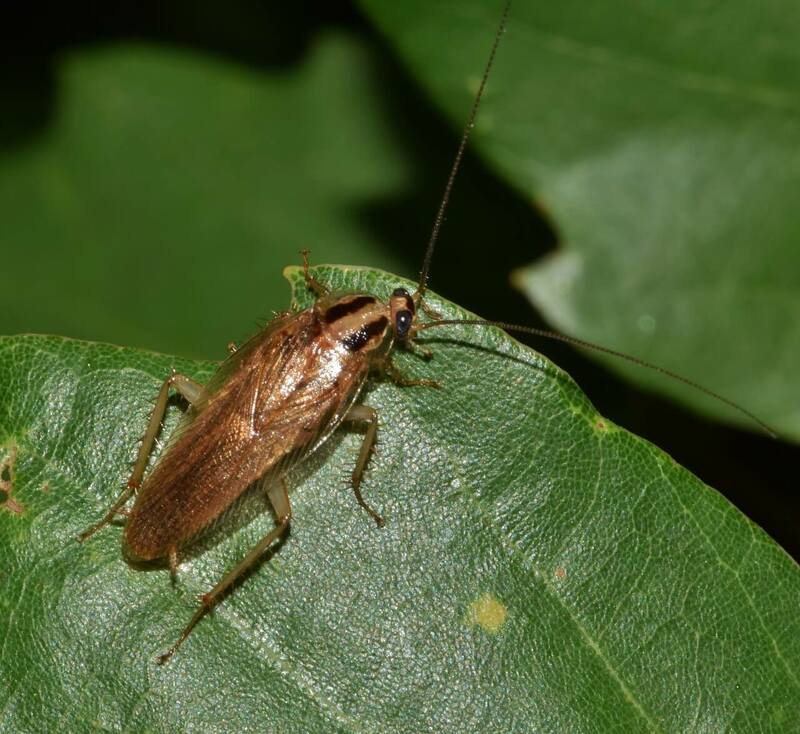 This small, well-known cockroach thrives in restaurants, homes, and hotels. German roaches are hitchhikers; they notoriously spread via luggage, delivery trucks, or food/beverage crates, feeding on a vast variety of foods. As a result of their diet and travel preferences they are most often found in kitchens. Their worldwide distribution creates a problem for people everywhere. As a matter of fact, the German roach is the species that give cockroaches a bad name! Their waste can cause severe allergic responses; in severe cases have been known to bite humans and feed on food residue left on bodies while sleeping! German roaches can become a huge problem because they reproduce rapidly— they can have up to 6 generations per year! Along with quick reproduction, German roaches are nocturnal, and they move swiftly and silently, so they can go unnoticed until they are a real problem. Sanitation along with a professional pesticide treatment are the best methods for eradication; but as a result of their rapid reproduction cycle, it is common to require more than one treatment to fully eliminate. At Hogarth’s Pest Control & Wildlife Removal, we specialize in German roach removal and are eager to assist you in removing them from your home. Call us today!